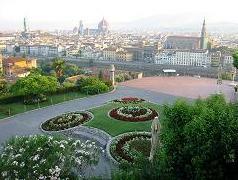 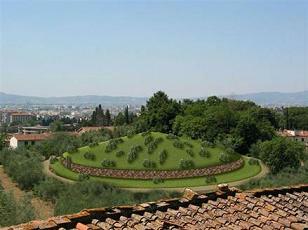 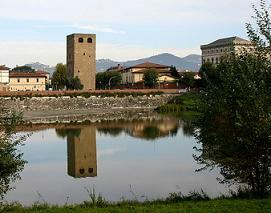 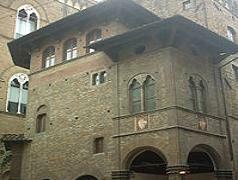 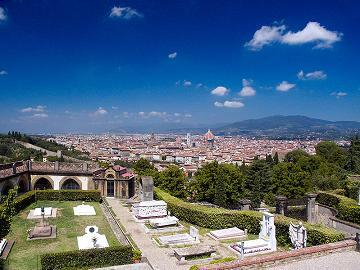 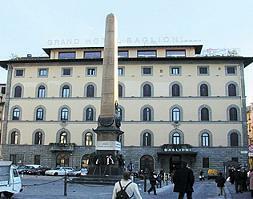 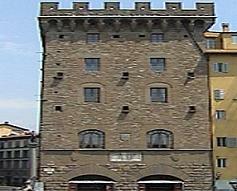 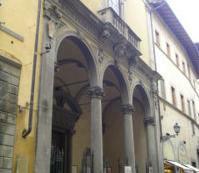 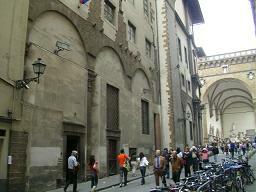 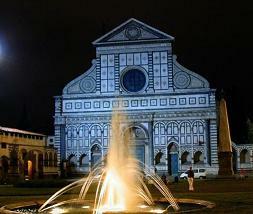 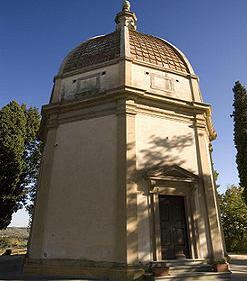 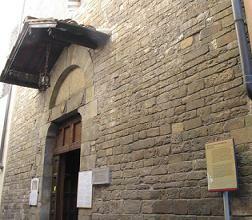 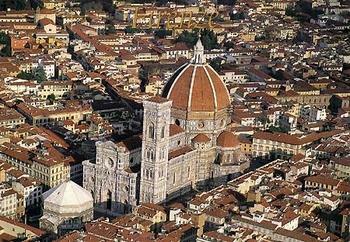 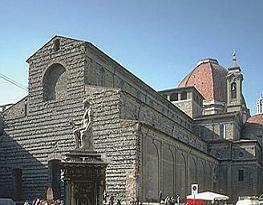 Filippo Brunelleschi (Florence 1377-1446) was an architect and sculptor. 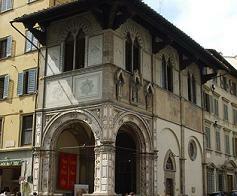 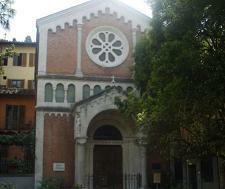 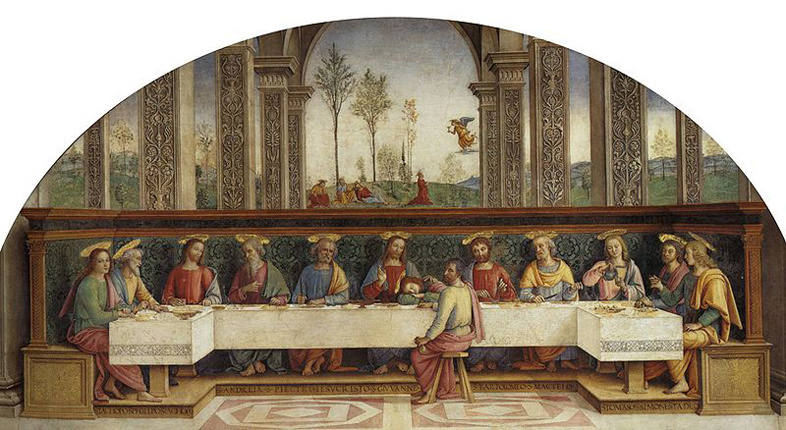 He was apprenticed to a goldsmith before becoming famous in 1402 after having made the second door of the Baptistry. 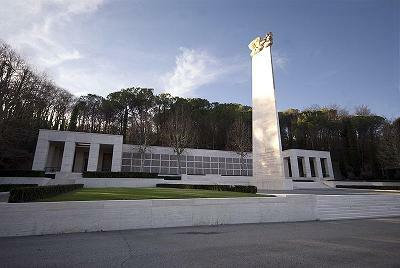 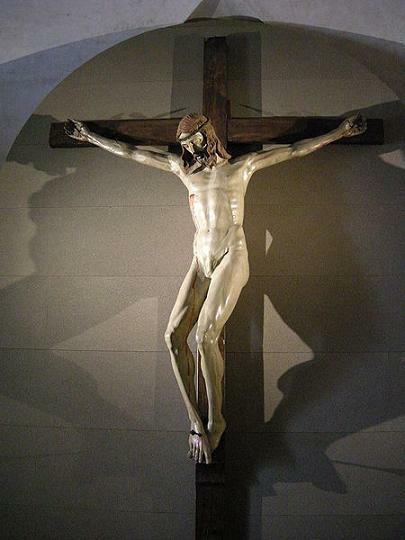 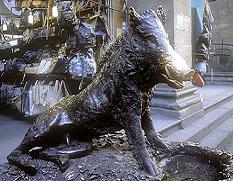 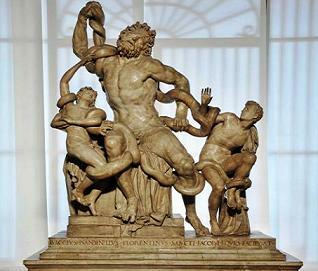 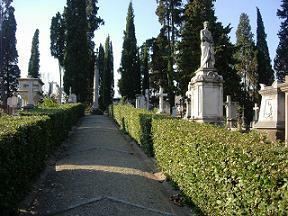 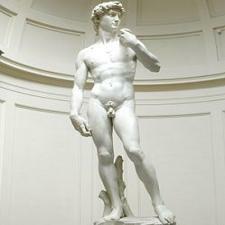 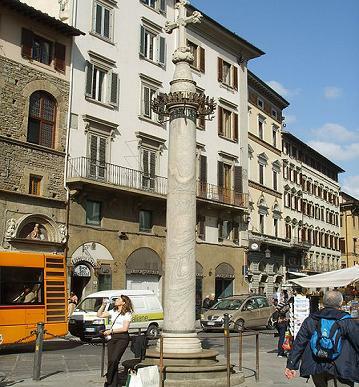 HIs only other famous sculpture was the Crucifix in the Gondi Chapel in Santa Maria Novella. 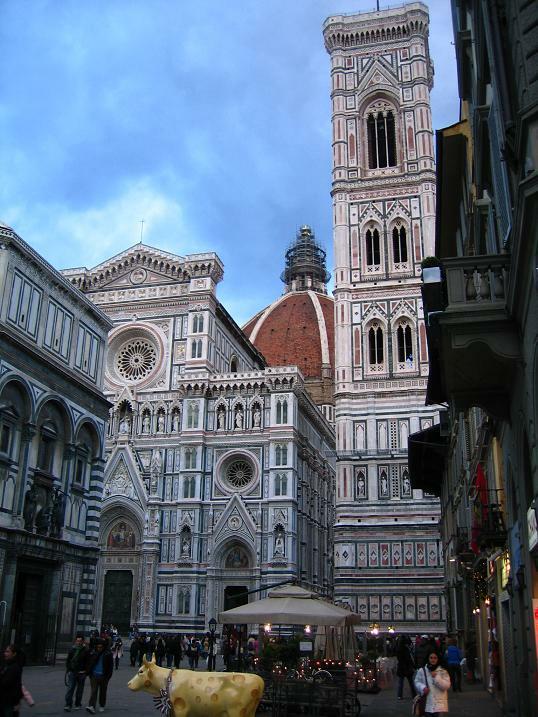 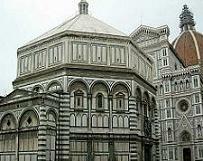 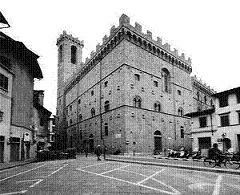 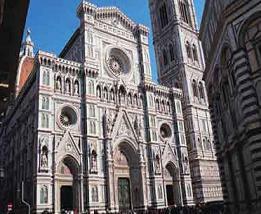 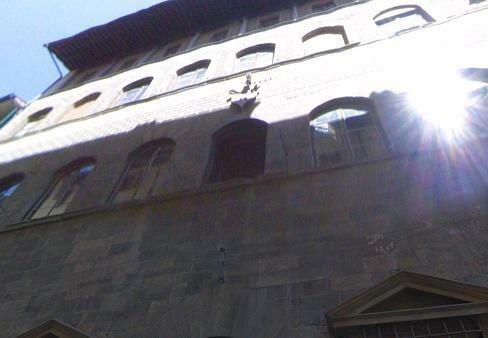 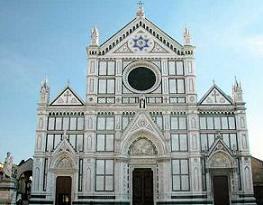 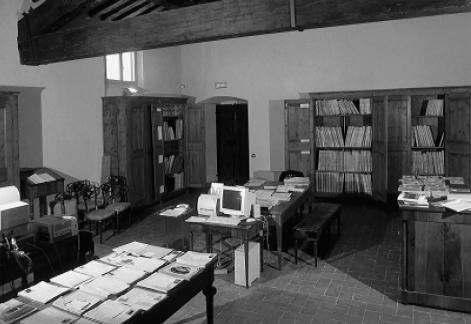 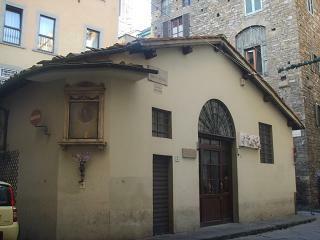 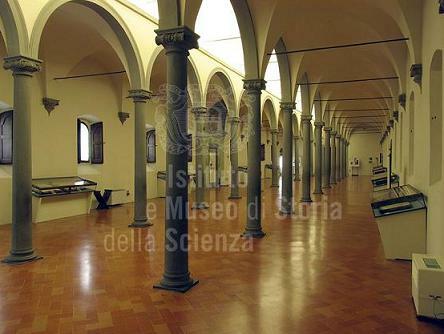 But soon the interest for architecture became prevelent and from 1409 we can find his works in the Church of Santa Maria del Fiore (Cathedral in Florence); in 1418 he presented the project. 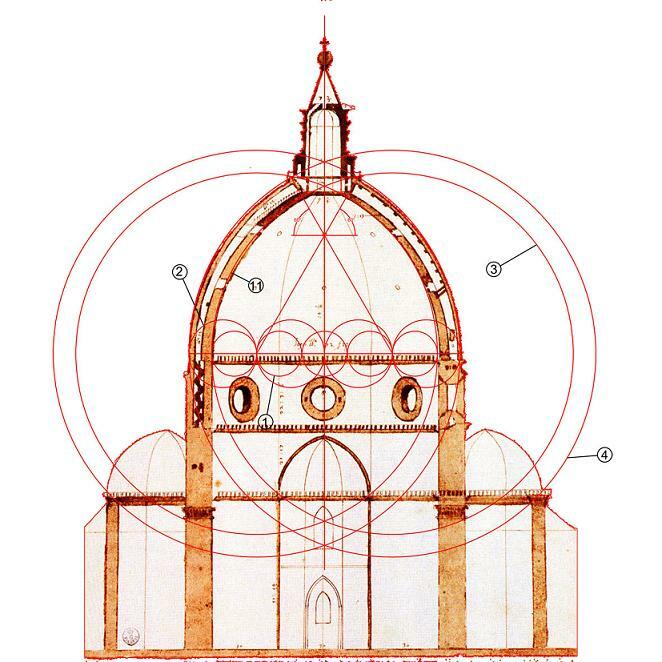 For the Dome Brunelleschi (often) went to Rome where he studied the ancient monuments : from these studies he " traced " the mathematical rules that regulated them. 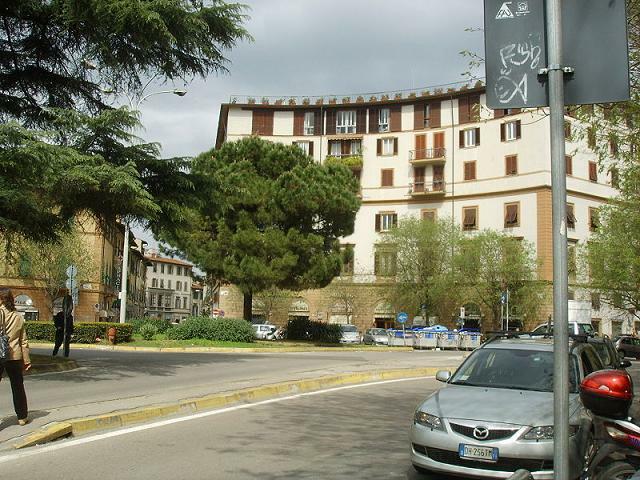 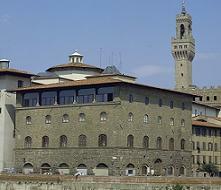 He elaborated a sketch on the rules in perspective which helped Brunelleschi to resolve all the problems in the constuctive stages of the project. 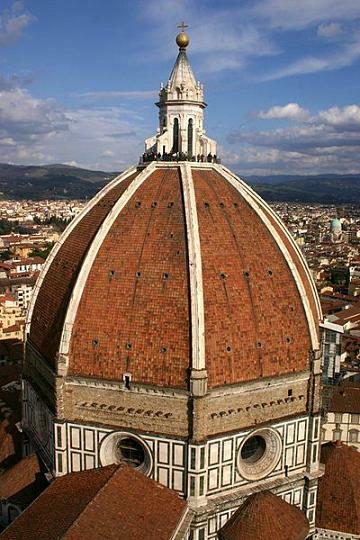 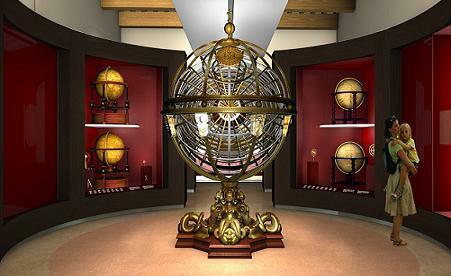 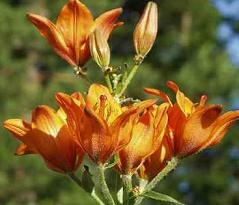 In 1423 he became known as an inventor and governor of the Main Dome which was finished in 1434. 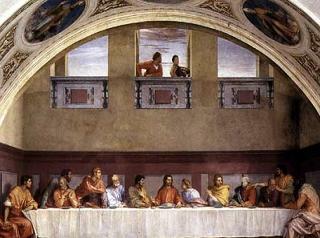 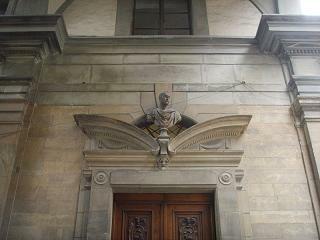 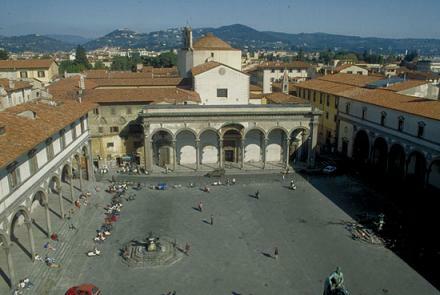 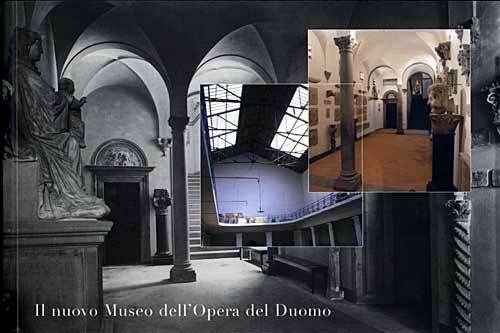 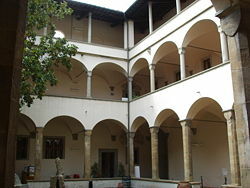 Other demonstrations of how Brunelleschi used his knowledge in perspective are seen in works such as: the Portico of the Degli Innocenti hospital and in the church of S.Lorenzo in both works we see, first of all geometry of space which is perfect with the conception of perspective: in both works the houlding of the pietra serena which stands out on the white background of the walls are not only simple decorative elements, but a way of putting in evidence the tracing of the perspective. 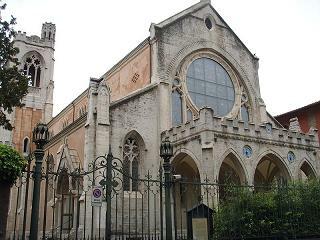 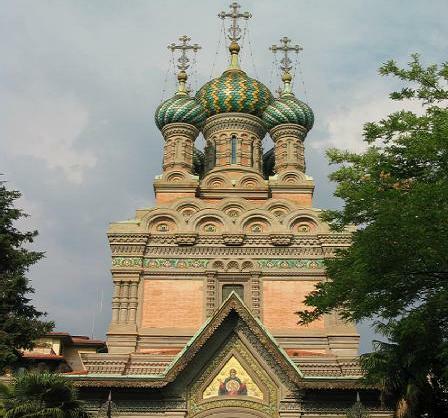 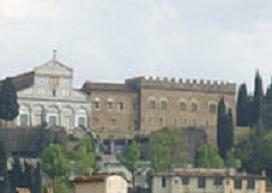 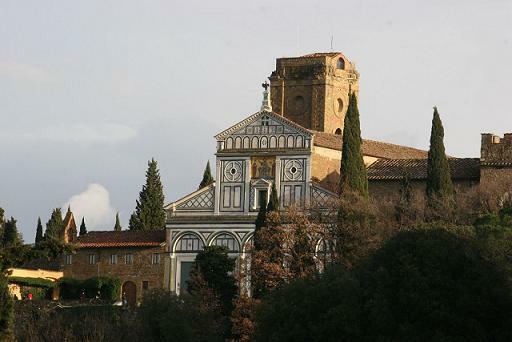 He later completed other works such as the Church of S. Spirito in Oltrarno (projected in 1436 and began in 1444) and the Cappella dei Pazzi in S.Croce (1430). 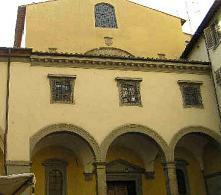 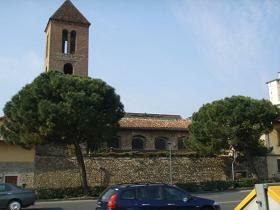 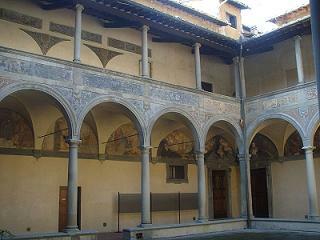 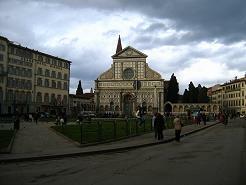 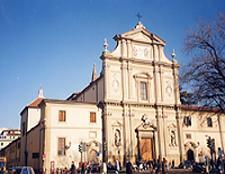 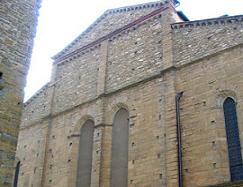 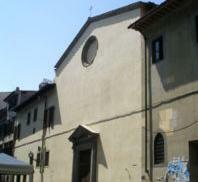 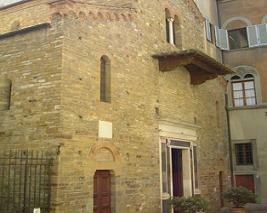 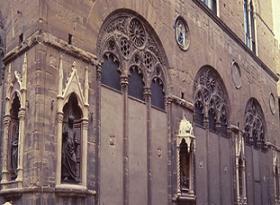 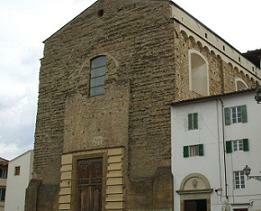 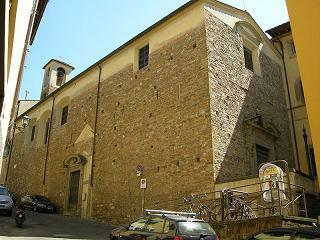 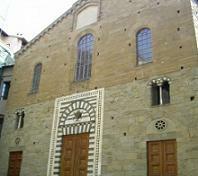 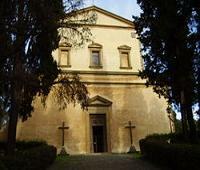 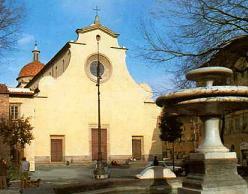 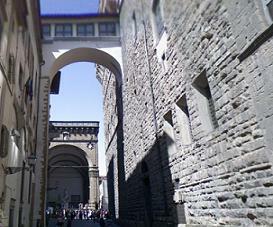 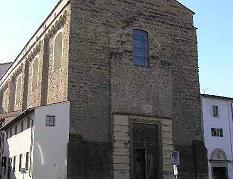 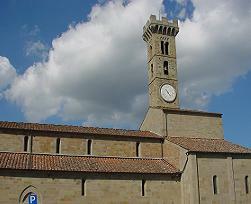 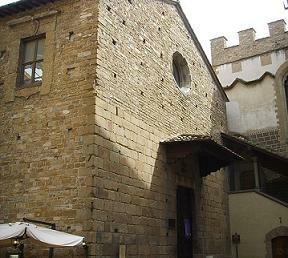 The Cappella dei Pazzi is actually the only work of Brunelleschi which still has the original facade. 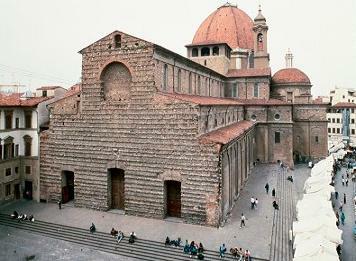 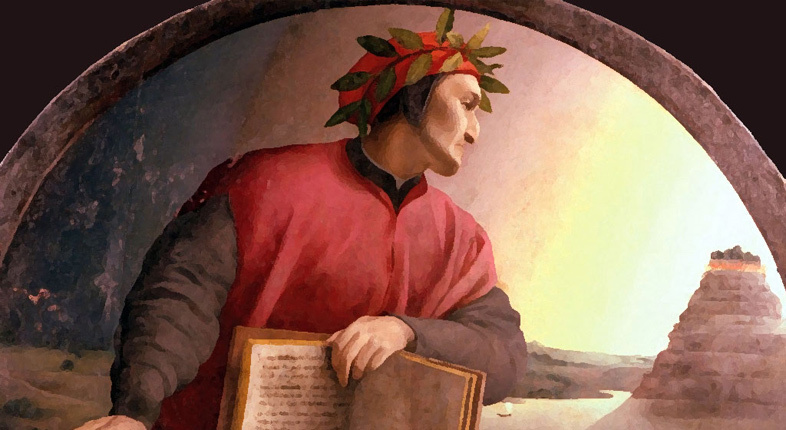 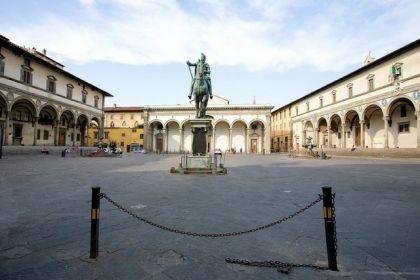 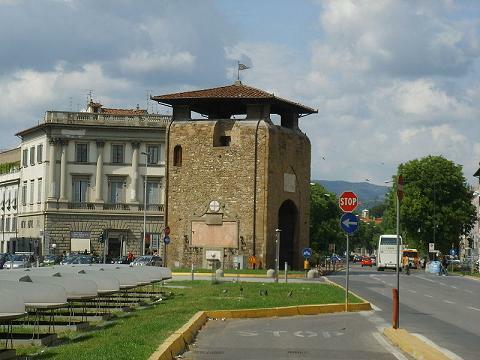 During these years Brunelleschi alterned his journeys to Rome, Ferrara and Mantova and intervened as a military engineer architect at Pisa (1426, 1435, 1440) and at Lucca (1430). 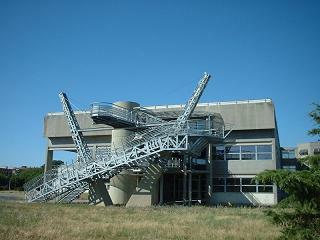 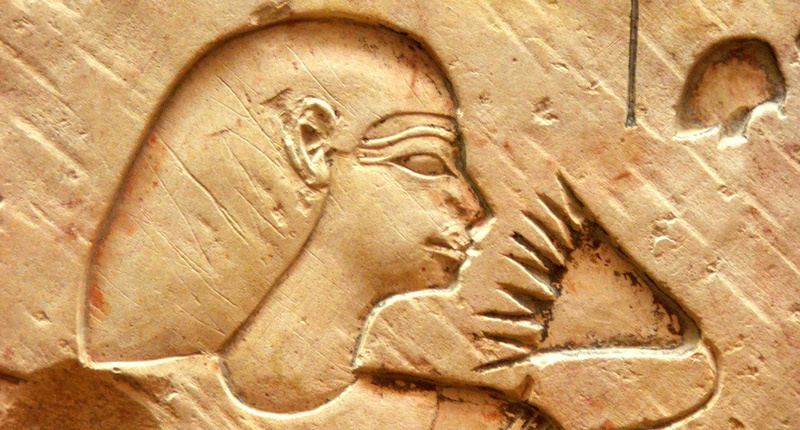 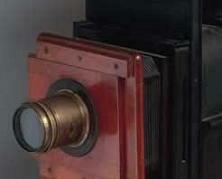 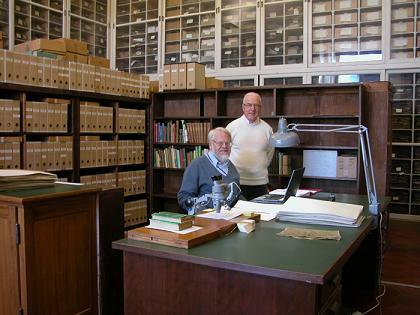 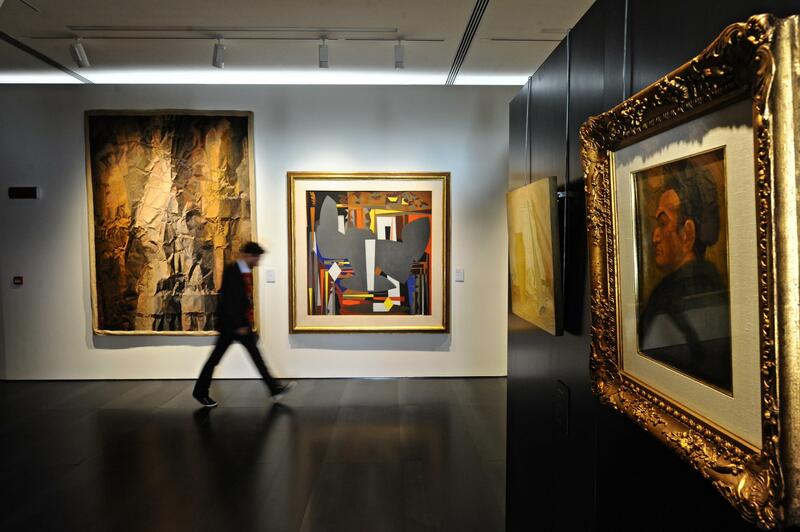 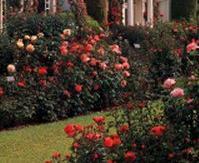 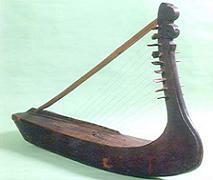 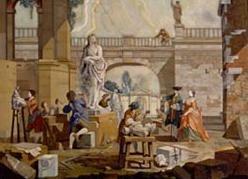 He was also an active inventor of and scenografic machinery. 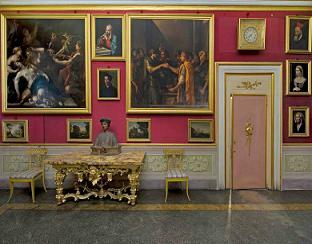 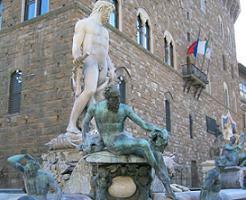 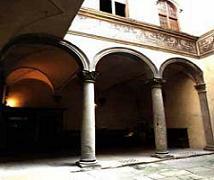 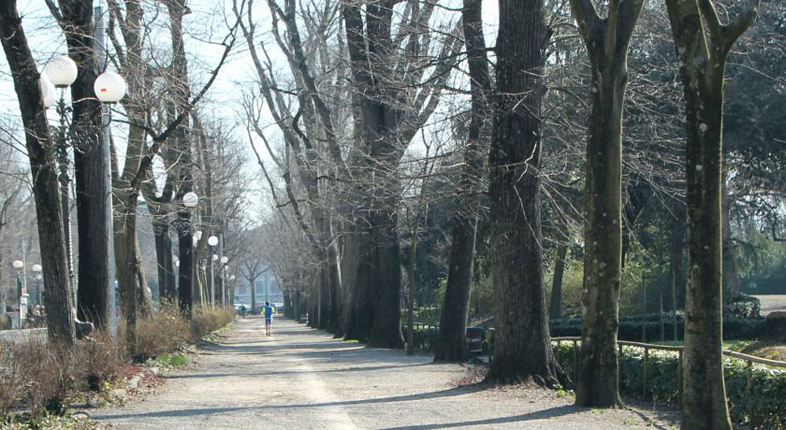 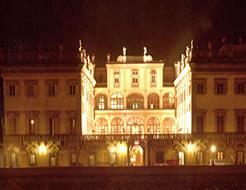 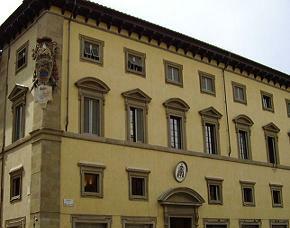 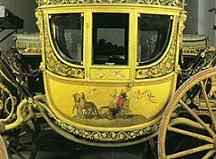 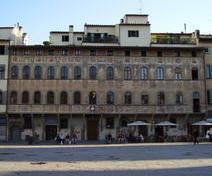 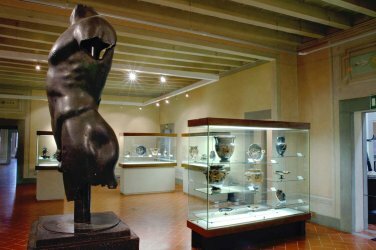 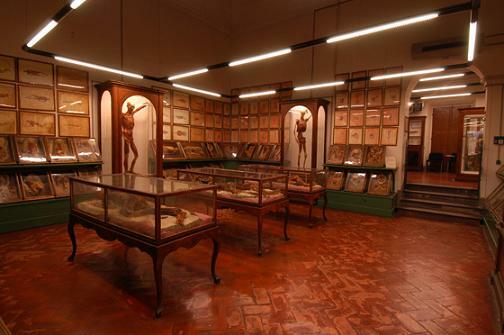 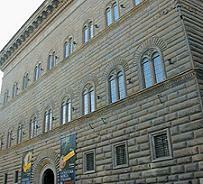 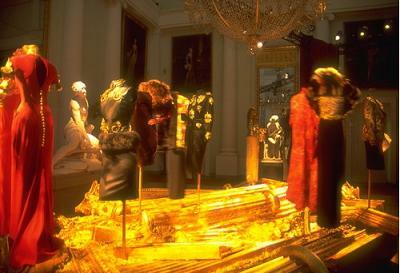 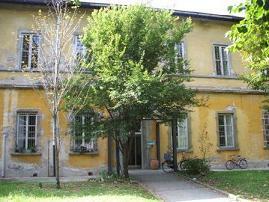 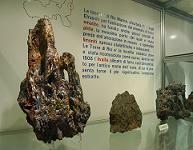 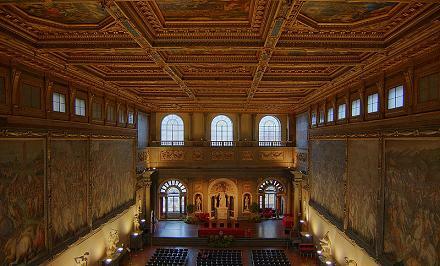 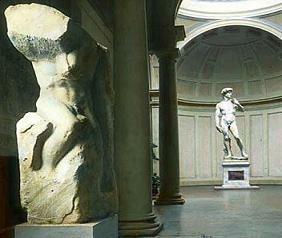 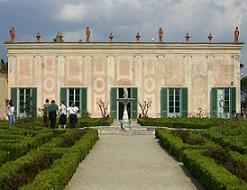 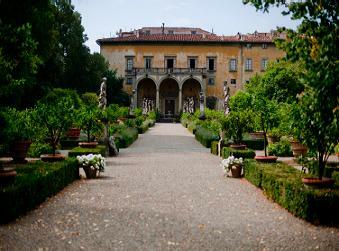 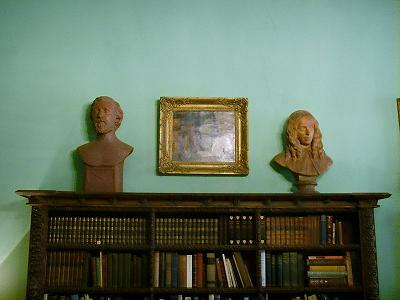 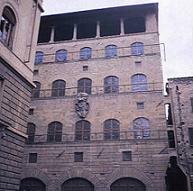 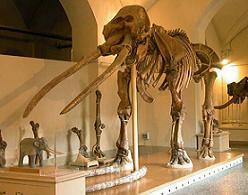 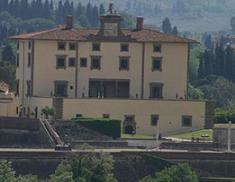 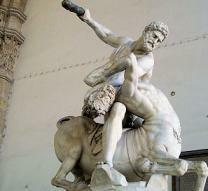 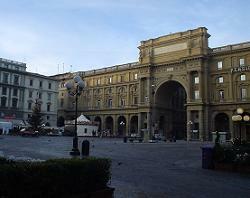 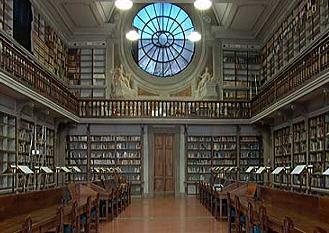 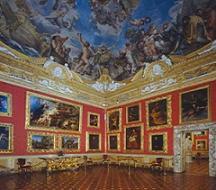 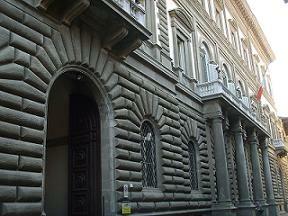 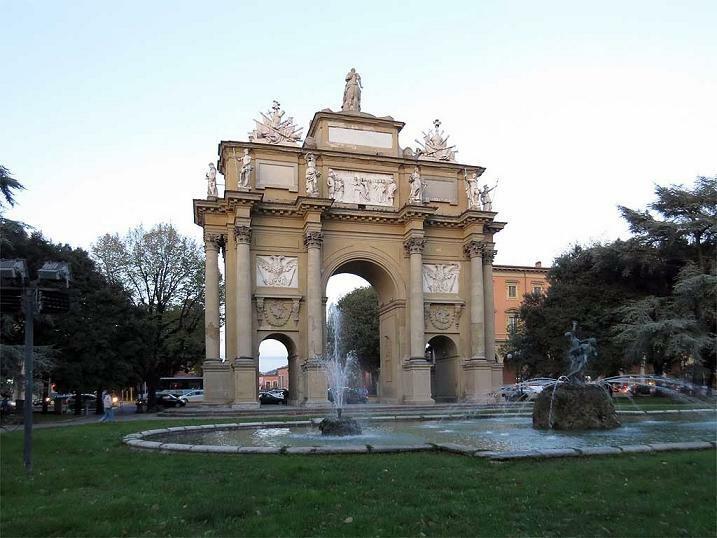 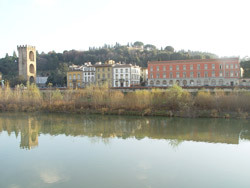 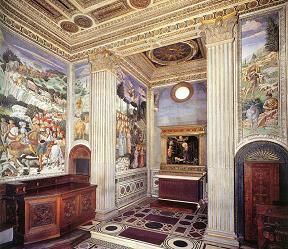 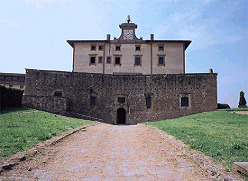 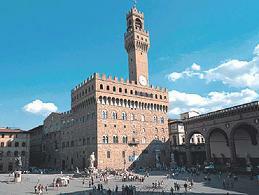 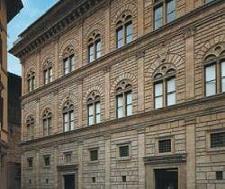 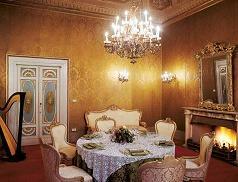 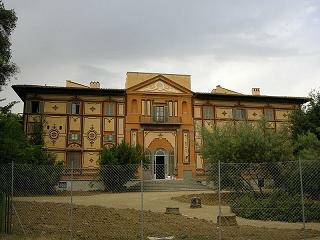 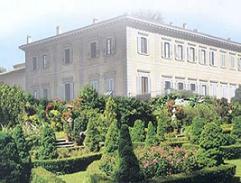 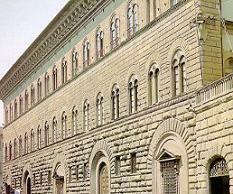 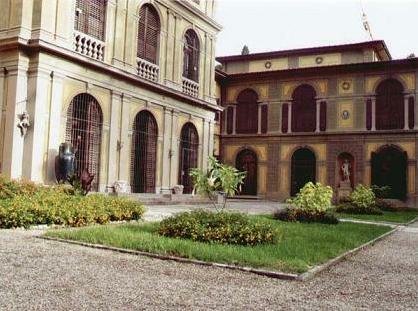 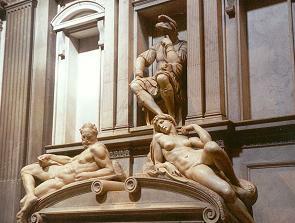 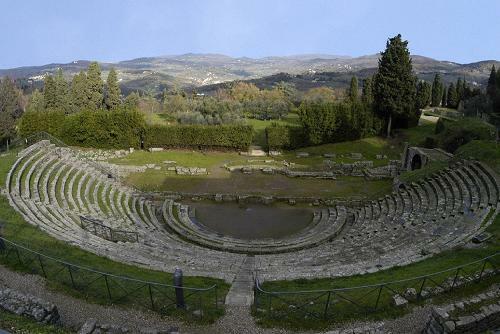 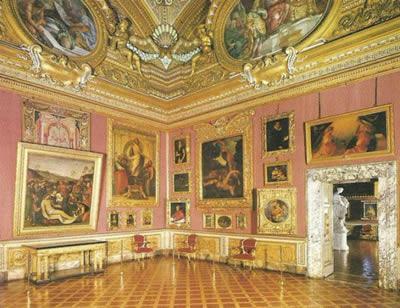 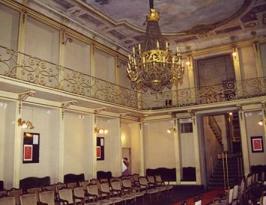 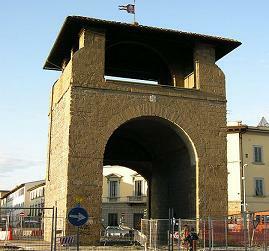 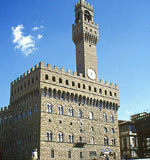 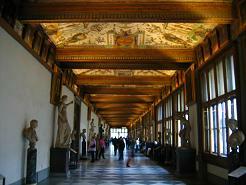 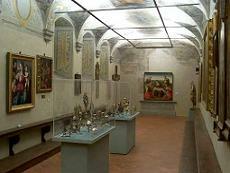 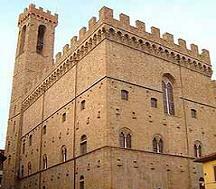 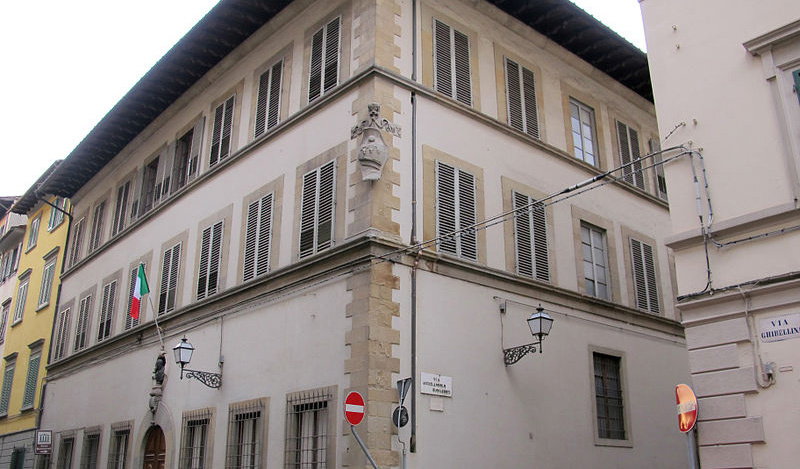 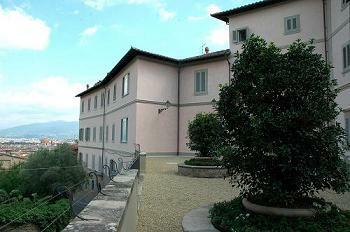 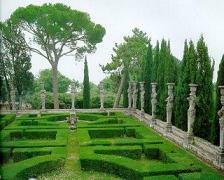 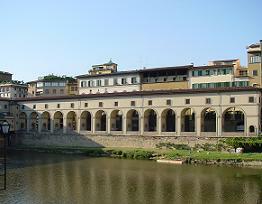 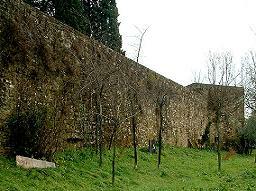 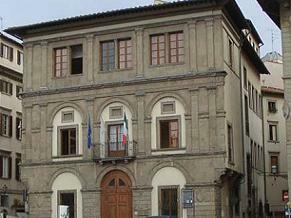 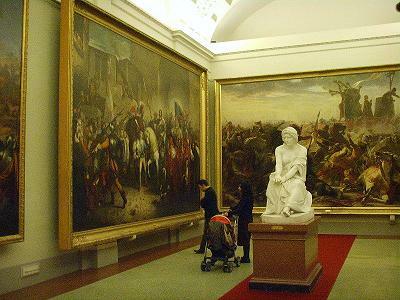 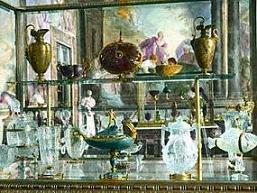 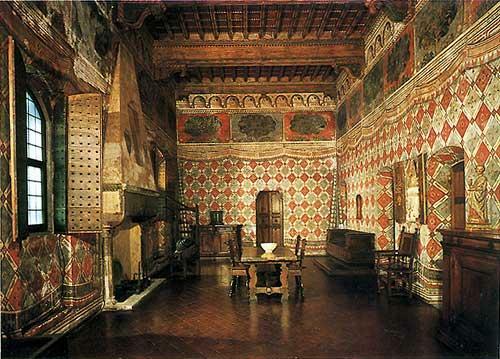 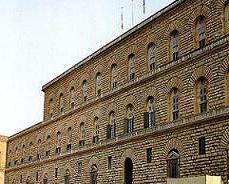 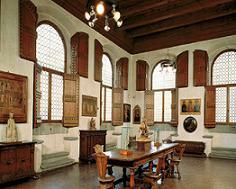 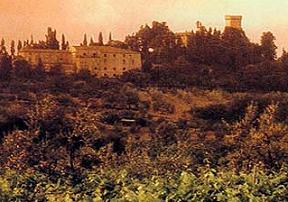 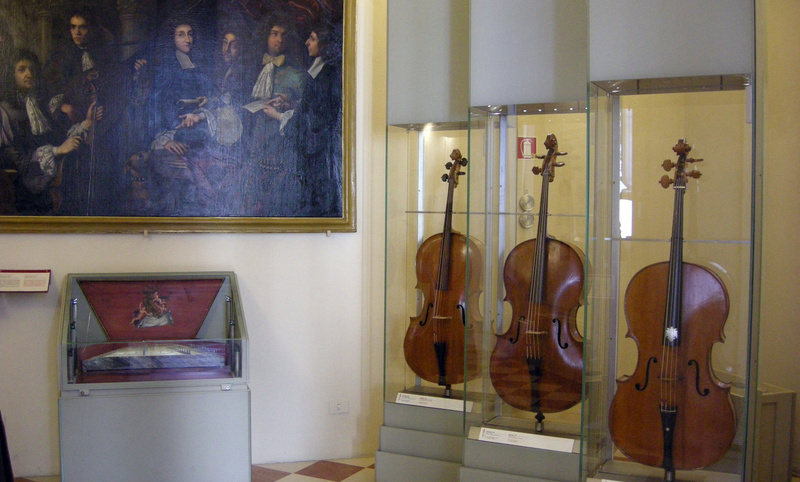 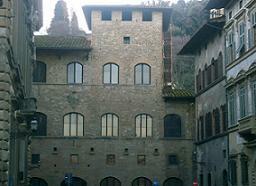 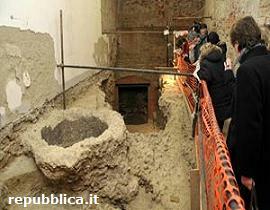 He also intervened with works in Palazzo Pitti and in the Guelfa part of the palace. 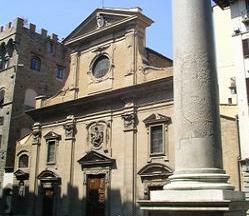 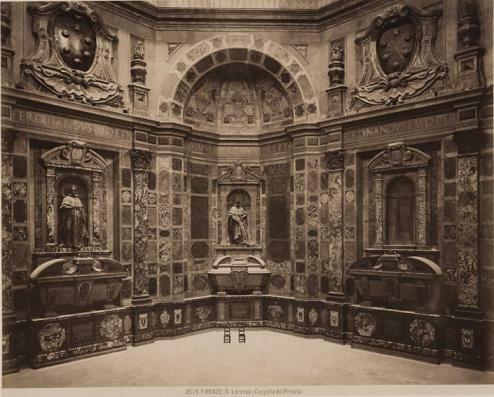 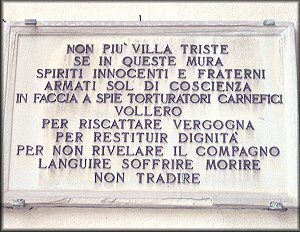 His tomb was found in 1972 in the right nave in the cathedral in Florence. 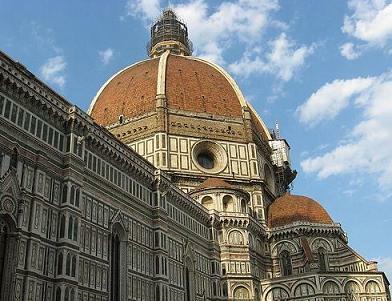 Brunelleschi is still considered today the initiator of a new era, the one who has opened a new dimension of space: perspective.